Considering locum tenens? Discover the 7 best places to practice medicine in the U.S.
Where you travel in the U.S. largely depends on what types of destinations you’re attracted to. It goes without saying that If you’re a beach-lover then you'll head to one of the coasts. If you have an affinity for the desert then you'll try the southwest; it will most certainly fascinate you. Are you in search of mountains? Then you'll want to venture toward Colorado, the Rockies. Do you yearn for great lake scenery? Then Minnesota will be your next stop on the list. Of course if you’re looking for that thick green forest then the Pacific Northwest is always a welcoming haven. What’s our point? If your heart desires a specific landscape then there’s no reason for you as a locum tenens doctor to not seek out these types of locations. Still there’s more to choosing an assignment than just the scenery. There are other factors you should consider like: What city should I practice in and why? What kind of compensation will I receive? What is the cost of living? Will this assignment turn from temporary to permanent if I end up liking it? These are all pertinent questions that the following blog will address. (And if not then you can always request more information from us.) In fact, Medscape puts out a yearly review of Best and Worst Places to Practice exactly with these kinds of things in mind. So if you’re new to locum tenens then you should consider reading their 2016 list. Otherwise we’ll fill you in on our own seven favorite locations to practice medicine in the U.S. Discover all of them below (in no particular order). The Midwest is grossly underestimated. Take Minnesota: sure the winters can be tough but not so tough that you can’t see the beauty in the frozen tundra still. No worries though. The summers here are amazing. There are lakes and beaches galore. Plus for those doctors seeking a good career path anywhere near the big cities – like Minneapolis for example – you’ll find excellent compensation plus low malpractice payouts according to Medscape’s 2016 article. What else will you find? Great health industry employers like the Mayo Clinic, UnitedHealth Group and St. Jude Medical to name a few. Again, harkening back to our last point, the Midwest is underrated. Most people think of the cold, oncoming winter when it comes to this region of the U.S. Rarely do people see the allure of the Great Lakes nearby and the countless state parks like Hocking Hills State Park which houses Old Man’s Cave, Ash Cave and Cedar Falls. Now on to the East Coast where every season glistens in its own unique way. The White Mountains in New Hampshire hold more spring, summer and autumn mystery to the uninitiated than any other state on the eastern seaboard, so explore away. In other words you’re in for a treat if you vacation in these parts. What else is great here? Medscape’s article states, “New Hampshire is the only Northeastern state to make Medscape’s top 10 in terms of compensation. Plus the cost of living here is the second lowest in the Northeast. Pennsylvania is smack dab in between the Midwest and the East Coast. It’s considered a northeastern state no doubt. Still you’ll get an eclectic mix of mountain and plains scenery in this portion of the United States. It’s almost common knowledge nowadays that living along the coast of California is a tad more expensive than living in many other parts of the U.S., specifically in the Bay Area. Though, there are some cities that are slightly south of San Francisco that offer not only peace of mind in the form of adventuring through state parks and beaches but also in the abundance of assignments offered. You’re able to see the wonders of every bit of California all while supplementing your income with frequent opportunities. Ah, the gritty elegance of the Pacific Northwest, what else do you need? If your assignment is in Portland, Oregon you’ve got pretty much everything you ever wanted. 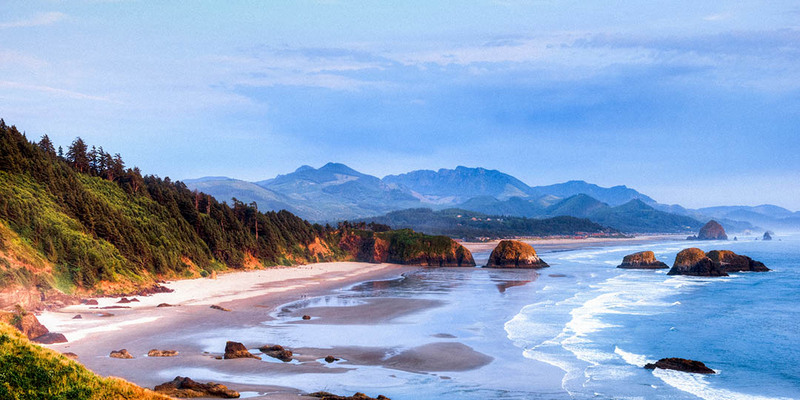 There are waterfall trails (Multnomah Falls) and mist-filled beaches (Cannon Beach) nearby, plus tons of local culture as well as a great restaurant scene. The Grand Canyon, Saguaro National Park, Petrified Forest, need we name off more amazing sights to convince you to practice medicine in Arizona? Of course we don’t. We know it’s not all about the national parks. You need more to tempt you than that. Even though the bigger cities here do attract more physicians – the Phoenix-Scottsdale area to name one – the state still has lower physician density than the national average (234.0 per 100,000 to the nation’s 265.5 per 100,000). Never mind any of that if you’re a golfer, this state is replete with gorgeous golf courses. There are a lot of factors to consider when taking a locum tenens assignment in the U.S. Luckily we have locum tenens experts here to help guide you in your search for a new opportunity. Are you up for a new 2017 locum tenens adventure this summer? Click the orange button below to discover all the best places to practice medicine in the U.S. If you live in a place that has four distinct seasons you might not realize it at times but you’re fortunate. Seriously. Each season is wonderful for very different reasons what with winter and its hot cocoa, its cold-weather mountain sports and its idyllic charm. And spring with its long-anticipated promise of new growth. And summer with its seemingly endless warm-weather days filled with daytrips to the beach or hikes up in the mountains. And fall…who could ever forget fall? This season’s got those cool, refreshing breezes, that warm, golden light and almost the entire visible spectrum of changing leaves. Do you reside somewhere in the Northern Hemisphere? Then you’ve no doubt already started seeing the autumnal changes. For all you leaf peepers out there this is prime-time viewing, especially in New England. Take a locum tenens job in the Northeast this fall. And be sure to hit up these 10 regions and scenic byways. 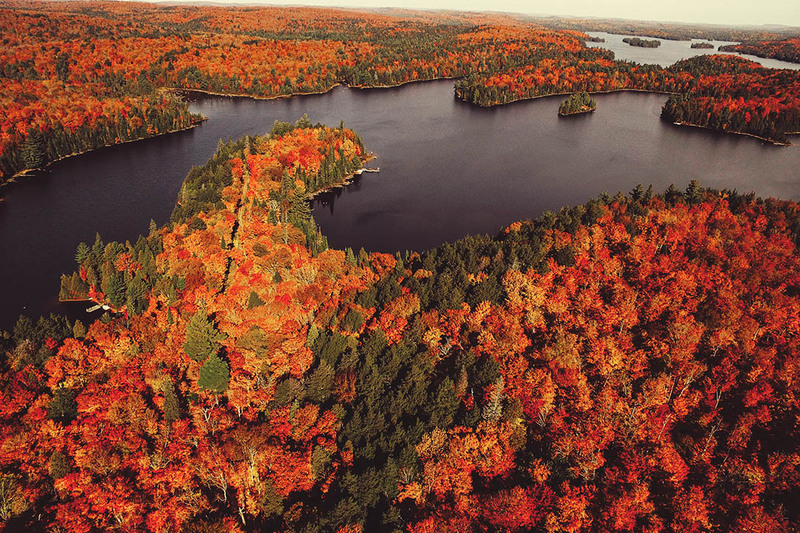 That’s right, we’ve gathered up some of the best places for you to go leaf peeping while you’re here (in no particular order). Check them out. Lauded as one of the best regions to go leaf peeping, you’d be remiss if you didn’t venture to the Litchfield Hills for a classic taste of fall. This region is teeming with white church steeples, rolling backcountry roads, covered bridges and two-story clapboard colonials complete with red doors. And it’s all set against a golden-hued heavenly backdrop you will definitely write home about. On top of being Connecticut’s largest lake, Candlewood is also a leaf-peeper’s paradise. On the way you can stop off at DiGrazia Vineyards, which isn’t far off from Lake Candlewood’s shores, to taste some fine New England specialty wines. Or if you’d like to keep at it, head to the western side, to Squantz Pond State Park for fantastic views of rolling hills immaculately covered with burnt-orange leaves. The Berkshires, what region could be more famous for fall foliage? Rhetorical, of course. This region, capitalizing on its beauty over the years, has amassed a lovely array of unforgettable bed-and-breakfasts and spa retreats. Feel free to stay a night or two. Not only will you leave more relaxed, you’ll leave with a new perspective. Literally, within a matter of days, the fall leaves tend to turn an even more brilliant hue. We truly don’t believe it gets much better than Old King’s Highway. To be honest, we’re biased. If you’re going to choose but one of these scenic places to visit while on locum tenens assignment in the Northeast, we highly recommend this one. This route gets busy but not too busy. It takes you right along Cape Cod Bay, through quaint towns, past antique shops and – most importantly – right into the magnificence of autumn in New England. We don’t think a bad word can be said about Vermont’s landscape. It’s considered royalty when it comes to autumn scenery. While there are countless places to travel in the Green Mountain State for fall-like nostalgia, Lake Champlain is perhaps the most unique. Unique insofar as you can take a cruise out on the lake and gain a grandiose perspective – orange sunlight, crimson trees and deep blue waters blanket the horizon to give you exceptional views. Be sure to visit the maritime museum while you’re in the area, too. To truly get a glimpse of the brilliance that is autumn in Vermont, we suggest you travel down Route 100. Dedicate a whole day – or two days – to the trip. Over 200 miles long and with over 20 picturesque towns along the way there’s no shortage of things to do along Route 100. Stop off in Weston at the Vermont Country Store. If you have kids along for the ride take them to the candy counter here, there's no doubt they'll love perusing the glorious selection of sweets. Ah, the White Mountains. You’ve heard of these, we’re sure. They’re the most famous rugged mountains in New Hampshire, part of the northern Appalachian Mountains. And the Kancamagus Scenic Highway AKA “the Kanc” (pronounced “Kank-ah-mah-gus”) cuts right through these jagged beauties replete with endless fall foliage. It’s now designated as an American Scenic Byway. Drive the route in early to mid-October and you’ll see why. Often touted as slower-paced and less frenzied than other scenic byways in the area, Lake Sunapee Scenic Byway is a must visit. The lake itself is a popular, year-round destination but come fall-time its not nearly as busy. That means less crowds as well as more scenery for you to freely explore. Meander along the 25-mile route and on the way stop at Fells Historic Site for an easy, intimate hike into protected forestland. Acadia National Park is downright mesmerizing any time of the year. But if you really want a peek into what it looks like during fall then take the Park Loop Road, 27 miles of brilliance. Situated on Maine’s Mount Desert Island this loop is filled to the brim with misty ambience, miles of changing leaves and oceanic views. Would you like an all-encompassing history of the park while you drive? An audio CD is available for purchase at Hulls Cove Visitor Center. Known officially as the Blackstone River Valley National Heritage Corridor, this slice of New England highway starts in Worcester, Massachusetts and settles in Providence, Rhode Island. If you’d rather get outside the car for a while and stretch your legs then take a bike tour through the backwoods of Blackstone River Valley. It will be memorable to say the least. Or if you’d just like a different perspective other than the open road you can book a riverboat tour, too, complete with a guide.